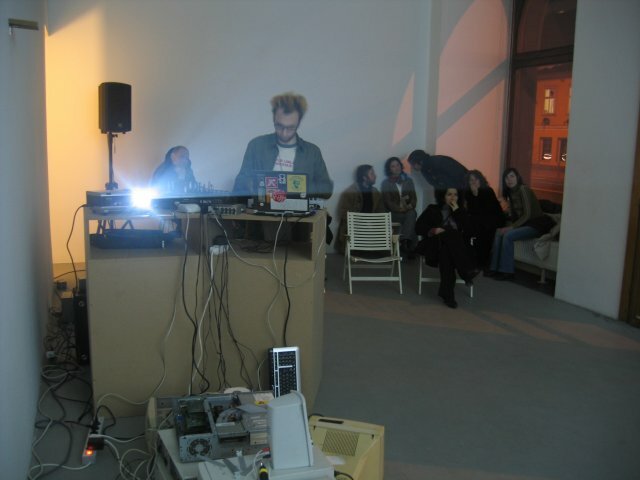 this little performance came about in january 2006 at 'mala galerija' in the middle of ljubljana as part of month-long series of sound events called 'oscilations' organized by museum of modern art. the point of departure was a chaotic fusion of ideas and thoughts on social role of sound and its (non)abstractness and signification. prevailing background is the idea of temporary sound -- zone or sound object, that establishes itself with help of everyone involved in a short frame of time. 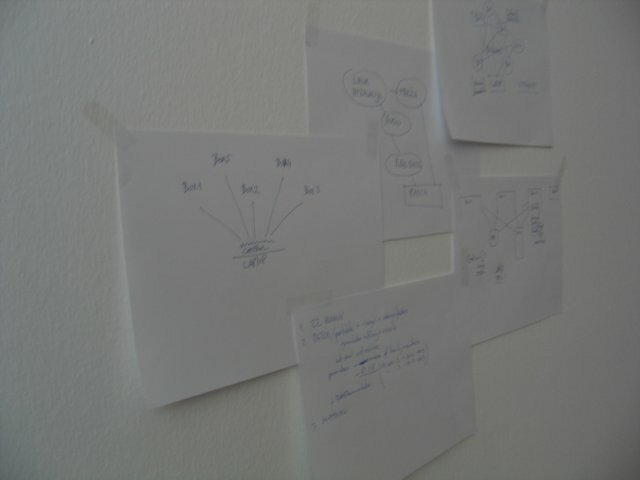 as such, it is not leaning towards its own archival and survival in a monolithic form. this suddenly enables everyone to think about the fluidity of meanings (in sound too), its shortcomings and possibilities of self-actualization. 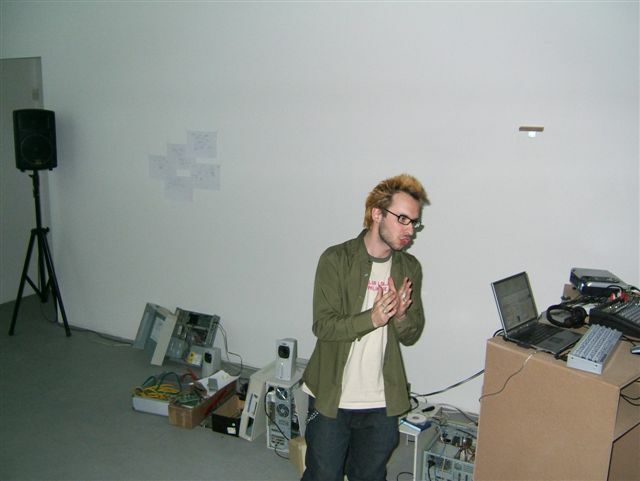 technicaly, number (4) of old pc machines were installed with Debian Linux and Pure Data and a pd patch (slave application), that communicated with outside world (other machines) through a local network ([netsend][netreceive]). 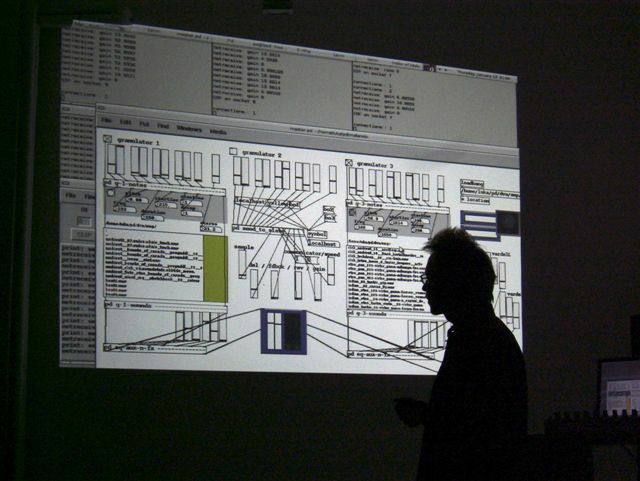 sound was generated by means of a simple granular synthesizer (part of each patch) that was able to receive parameters from the network. 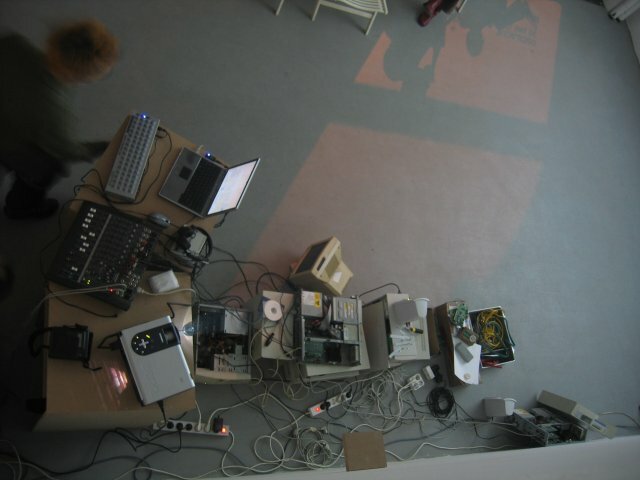 the machines would produce sound by themselves and could each work in two modes: (a) 'obedient slave' - controlled by one master patch on a laptop (fifth machine), or (b) 'talking slave' - connecting to other machines and sending them different randomly generated parameters in certain time intervals. 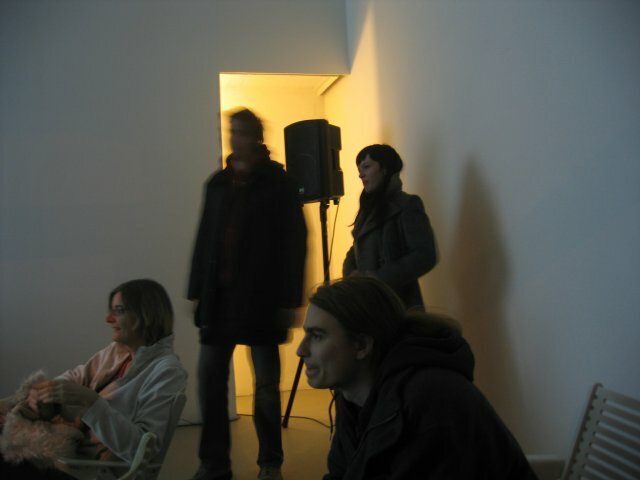 the gallery was open throughout the day when visitors/friends/musicians could drop in and see work in process and talk to artist (and machines). 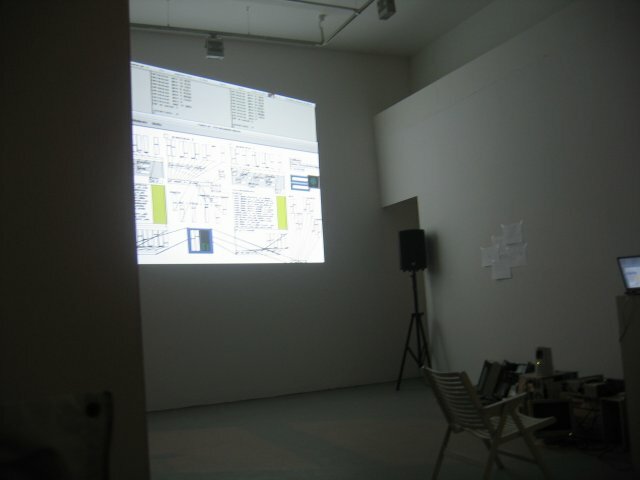 in the evening the basic functionality was explained and a _controlled_ and _let-loose_(when machines controlled eachother) sessions/performances were done consequently. released here is one piece from a month earlier as part of preparation and creation of granular patches (granulator) and edited parts recorded from the session (thanks to borut savski for minidisc recording! ).